Precise Trolling Control: Adjust trolling speeds in 50-rpm increments simply by pushing a button on the optional Command Link tachometer or the VTS- switch on the optional multifunction tiller handle. Responsive Power: A single overhead camshaft provides precise valve timing for maximum power with minimum weight. This 6-valve, SOHC design efficiently exchanges intake and exhaust gases for responsive power and fuel efficiency. Precise Throttle Control: All air entering the engine block of the F30 is routed through a single throttle valve to ensure the precise amount of air necessary for optimum power and fuel efficiency. The air silencer box reduces intake noise and air turbulence for smooth, quiet operation. Fuel Efficiency: Three individual compact electronic fuel injectors deliver the exact amount of fuel needed for optimum performance and economy. Controlled by the Engine Control Module via input from an array of on-engine sensors, their location just above the intake valves enhances fuel atomization, resulting in more efficient combustion. Dependable Starting: Yamaha's new F30 features a vapour-reducing fuel return system. 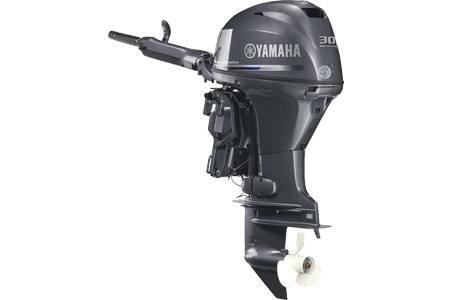 Used in conjunction with Yamaha's electronic multi-point fuel injection, the F30 offers dependable turnkey starting in both hot and cold conditions. Long Term Value: Yamaha improved their legendary Ultimate Corrosion Protection System for the F30. 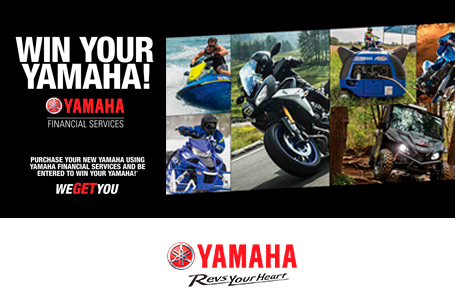 Yamaha's proprietary alloys, ACP-221 paint process, and freshwater flush device are just the start. Multiple sacrificial anodes in and on the powerhead, mid-section, and lower unit, a special ACP-221 paint process, and a specially painted and treated exhaust system means better long-term protection and maximum value. Advanced Technology: All F30 models are equipped with an Engine Control Module that interfaces with Yamaha Diagnostic System software. This provides a view of selected past and current running conditions to help technicians provide a complete and accurate diagnosis. Cleaner Fuel: All F30A outboards feature a large, on-engine water separating fuel filter with a water sensor. 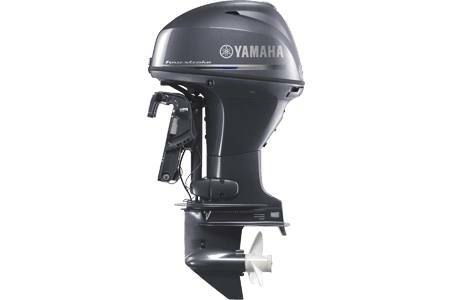 Used in conjunction with Yamaha's optional boat-mounted 10-Micron Water Separating Fuel Filter, it helps separate water and contaminants from the fuel before they can reach the outboard's other filters and fuel injectors. Protection From The Elements: The F30 features a proven one-piece cowling with an intake air drain system to easily and efficiently drain away any water that enters the cowling during normal engine operation. Incoming air is routed through a labyrinth of passages that help trap and drain water before it enters the engine's intake for maximum reliability. Precise Trolling Control: By just pressing a button on the Command Link tachometer or the VTS? switch on the Multifunction Tiller Handle, the operator can adjust the engine's trolling speed from 650 ~ 900 rpm in 50-rpm increments. This helps provide precise and consistent trolling speeds in a wide array of conditions. Tiller Handle Control: Yamaha's award-winning Multifunction Tiller Handle offers the benefits demanded most in a tiller control. From its front-mounted gear shift and ignition key switch controls to the easy-to-use Variable Trolling RPM Switch, it is ergonomically designed to provide maximum control with maximum comfort.